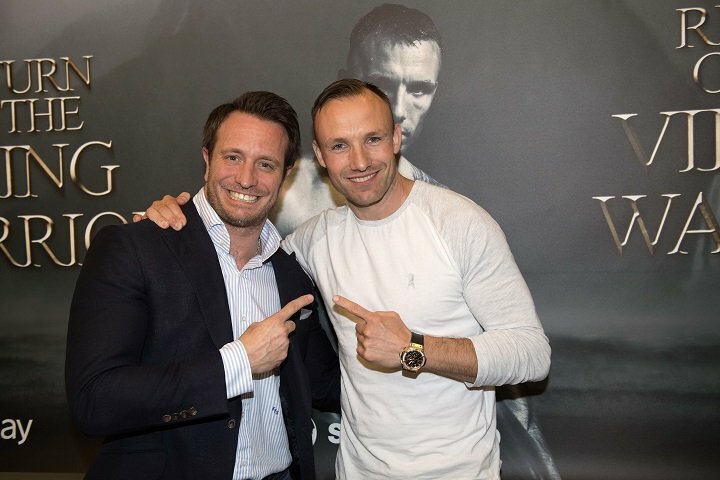 Danish boxing legend Mikkel Kessler (46-3, 35 KOs) announced his plans to return to the ring at a press conference today at the Crowne Plaza Copenhagen Towers Hotel. The former five-time World Champion, who retired following his May 2013 rematch with Carl Froch at the O2 in London, will make a sensational comeback later this year with a date and opponent to be confirmed. ‘’I want to prove that I can become the best again. The goal is to become World Champion for the sixth time,” said ‘The Viking Warrior’. ‘’I’ve always said that if I wake up one day and the motivation is there, I’ll take the chance, and now, the timing is right. I still have a great team around me with a chef, physical trainer, therapist and boxing coach. The desire is still there, and I’m ready to make it happen. ‘’I’m older, and so is my body, but I’ve kept in shape, and I’m still in weight. I’m 100 per cent motivated to do this. I’ve missed the training camps, and I’ve missed the focus you get from boxing – to have one goal, and to do your best to achieve it. ‘’It’s not about the money; it’s about doing what my heart tells me to do. I’ve always love big challenges, and this is a chance to really test myself. The 38 year-old was joined at today’s press conference by promoter Kalle Sauerland.